Are your lipsticks full of lead? The agency charged with oversight of cosmetics, the U.S. Food and Drug Administration (FDA), has no authority to require pre-market safety assessment as it does with drugs, so cosmetics are among the least-regulated products on the market. 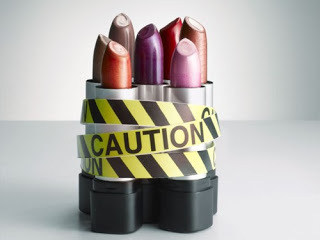 The FDA does not review – nor does it have the authority to regulate – what goes into cosmetics before they are marketed for salon use and consumer use. In fact, 89 percent of all ingredients in cosmetics have not been evaluated for safety by any publicly accountable institution. Ironically, most consumers believe the U.S. government regulates the cosmetics industry the same way it regulates food and drugs sold in this country to make sure they’re safe. The truth is, no one’s minding the store when it comes to shampoo, skin moisturizers, baby products, lipstick or any other personal care product. Even lipstick isn't safe anymore...what's next? Brands don't mean everything. Recently a brand called "Red Earth" decreased their prices from $67 to $9.90. It contained lead. Lead is a chemical which cause cancer. After doing a test on lipstick! 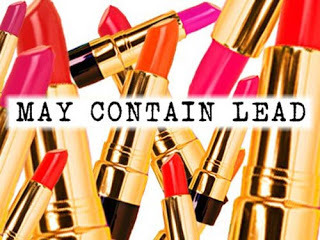 s, it was found that the Yves St. Laurent (YSL) lipstick contained the most amount of lead. Watch out for those lipsticks which are supposed to stay longer. 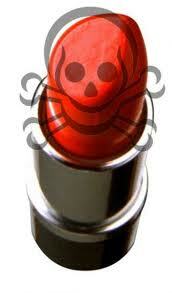 If your lipstick stays longer, it is because of the higher content of lead.